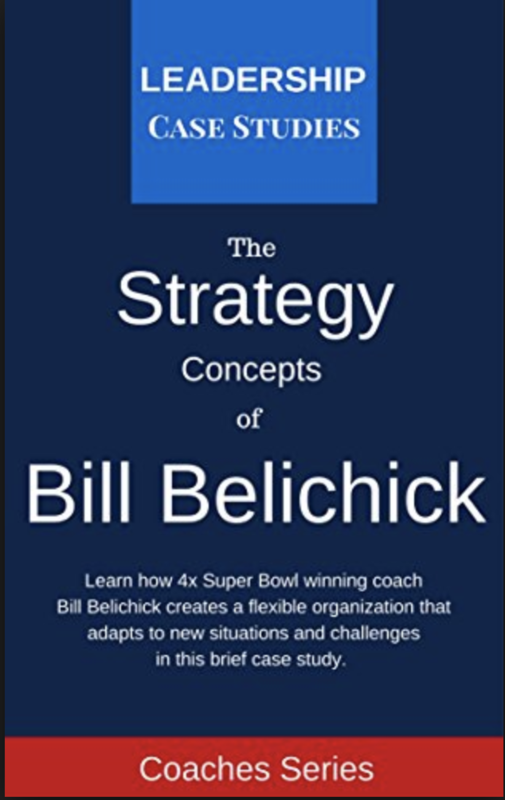 The Big Idea: Bill Belichick built a dynasty around on a culture of accountability, continuous improvement, strategic flexibility, and detailed preparation. “Do your job” is the New England Patriots mission statement. The goal is to improve on a daily basis, work hard, pay attention to the little details, and put the team first. Belichick makes sure that the goals set out are achievable. Work as hard at it as we can and improve on a daily basis. Emphasis on individual performance in a team setting creates a feedback loop that raises the performance of the entire team. Without having to worry about the next person, each individual player is able to put their complete focus, dedication, and effort into their own task, which raises the performance of the entire team. No one will be willing to follow someone who isn’t competent at their own job. There are many types of leadership styles. It’s impossible to deal with everyone on an individual basis on a daily basis so Belichick relies upon managers and department heads to keep him informed. Having the right people as captains was critical. Belichick strives to make sure that the right people are in the right positions. Players buy into the Patriots’ culture due to Belichick addressing any problems quickly. Belichick views self-evaluation and holding each player accountable as a key part of his coaching strategy. The only way for us as a team to get a championship level is to continue to evaluate ourselves, and we have to look at what we’ve done and critically analyze ourselves. We can’t hire a consultant to come in and fix our problems. The only way for us to get better is to do our own R & D.
Everyone in the organization must study, learn, and strive to get better. Everyone must have an open mindset and be willing to learn and be evaluated. Understand that mistakes are not fatal. Only by addressing the problem can things improve. Bill Belichick’s father was also a football coach and collected an extensive library of football books. Four hundred and thirteen books served as the foundation of Bill Belichick’s football knowledge. Belichick insists “Bill Walsh: Finding the Winning Edge: is the greatest piece of football literature regarding a franchise blueprint ever written. He is constantly adding to his expertise by finding new information and ideas to win football games. He doesn’t care where the ideas come from, or who offers the ideas. During staff meetings with his coaches, he first asks his staff for their ideas and suggestions. He’s not so full of himself that he won’t listen and tap into any source for an edge. Belichick extensive use of analytics is one of his primary competitive strategies. The work ethic of Bill Belichick is legendary. They know there are nights when Belichick sleeps at Gillette. When everyone else is sleeping, or tweeting, or playing Madden, or lounging around, Belichick is studying the game. One method that Belichick teaches his players is through the use of daily quizzes. No one commands a depth of knowledge quite like Belichick. Everyone is expected to study, regardless of their role on the team and how much playing time they are expected to have. These quizzes and intense preparation clearly pays off. For players who are unable to keep up, Belichick will quickly weed them out. When guys get there they either buy in immediately or they are so overwhelmed that they want out. With the ball on the one-yard line, the Seattle Seahawks threw a pass play that was intercepted by the Patriots’ Malcolm Butler. Butler, an undrafted free agent, was coached and prepared by Bill Belichick and told to be ready for that play. How exactly does Belichick ignore the distractions? He places the entire organization’s focus on the next game. Belichick will refuse any interview that has to do with the past because he’s solely focused on the next game. Based on his knowledge and constant learning, Belichick is always innovating. Despite the heavy criticism for what was essentially the right call on 4th and 2, Belichick did not let the negative outcome affect his decision-making process and would make the same call again. If you know the history of the game, you understand that it’s a changing game. He isn’t afraid or held prisoner to a certain way of doing things because he knows that change is constant. Belichick realized that a faster tempo was becoming a competitive advantage. Belichick entire strategy of winning games is based upon exploiting and attacking the weakness of his opponent. The core tenets of Bill Belichick’s football program always will remain the same. Versatility is key. Do your job. Hide your weakness and attack their’s. Even at 63 years old and with four Super Bowl rings on his nightstand, he’s constantly seeking out new information and his plan of attack is evolving. By bringing in smart football players and combining it with his mental training, Belichick is able to create a smart, fast moving team. Belichick cross-trains his coaching assistants. Belichick trains his coaching staff to be able to coach both sides of the ball and to be able to move where needed. Unlike the many coaches who identify with a particular style or tree, Belichick isn’t locked into a singular ideology. Belichick’s greatness has never stemmed from a Big Idea — unless the Big Idea is the relentless application of many Little Ideas. Clearly define the roles of everyone in the organization. Hold people accountable for their roles , and help them when they accept responsibility. The most vocal person isn’t necessary the leader. Be on the lookout for people who are doing their job well in a quiet manner. Improvement takes place on a daily basis. You must take the time to learn about the larger trends in your industry. The goal is to “move the football”, not prove that your way of doing things is the right way. Use any source that can help you gain an advantage. Your strategy must be tailored to your current situation. What worked in one situation will not necessary work in another situation. Focus on the task at hand. Don’t get caught up in any distractions. Control what you can. You can control your effort and your decision – making process. You cannot control results and outcomes.